In a capital markets environment characterized by rapid change and necessitating innovation, Gregg A. Noel is highly sought after by U.S. and international issuers, investment banks and financial institutions on a wide range of public and private debt and equity financings. A leader in the West Coast Corporate Group, Mr. Noel focuses his practice on a variety of corporate transactions, including public offerings, private placements, dispositions, acquisitions and corporate restructurings. He has been involved in more than 65 initial public offerings. During 2012 and 2013, Mr. Noel advised on more than 40 transactions with an aggregate value of approximately $38 billion. Mr. Noel advises clients across a broad range of industries, including technology, health care, real estate, financial services and hospitality, among others. He has extensive experience advising high-technology companies, including Hulu LLC, SurveyMonkey Inc. and Yahoo! Inc.
As the co-head of the firm’s real estate investment trusts (REIT) practice, Mr. Noel is very active in representing and advising REITs in connection with capital market transactions, including many initial public offerings and general corporate matters. Mr. Noel has been recognized repeatedly as a “leading lawyer” by Chambers Globaland Chambers USA, in which he is one of only nine attorneys listed under the Band 1 category in California for capital markets. 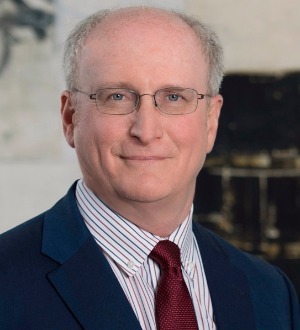 He regularly is included in The Best Lawyers in America and The Legal 500 U.S., and he has been listed in The International Who’s Who of Business Lawyers — Capital Markets. Mr. Noel also has been named a BTI Client Service All-Star by The BTI Consulting Group. In addition, Mr. Noel has served on the corporations committee and business court committee of the California State Bar and frequently lectures on securities law matters. Loyola Marymount University, B.B.A., B.A.